SKU: P001. 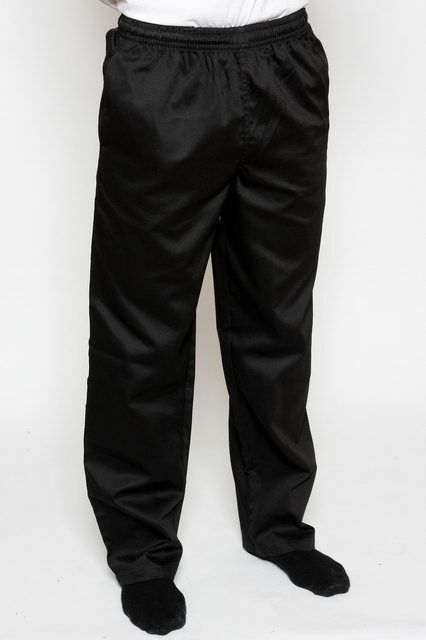 Category: Chef Pants. 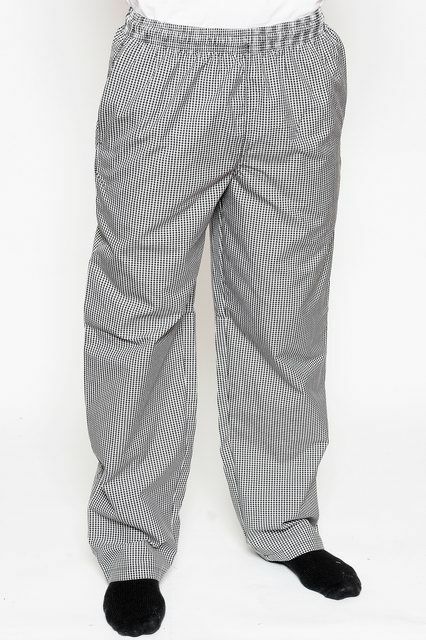 These Checkered Chefs Pants are designed and constructed from a durable, yet comfortable, 65/35 poly cotton. 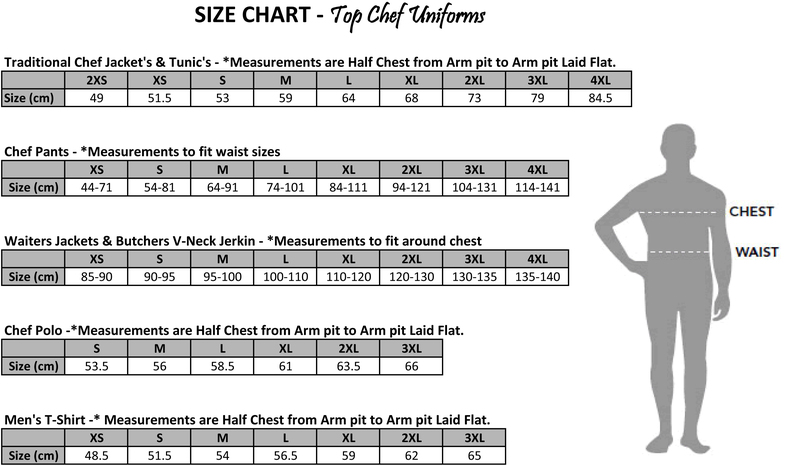 Featuring 2 front pockets and 1 rear pocket, the Top Chef Uniforms Chefs Pants come in a drawstring waist style for ultimate comfort even during the longest of shifts in the kitchen. 3 Pockets – 2 Front, 1 Rear.